In this week’s Friday Feature, we delve into learning about the Chu-Gon Dar Cube and some of what you can use this mysterious device to create. 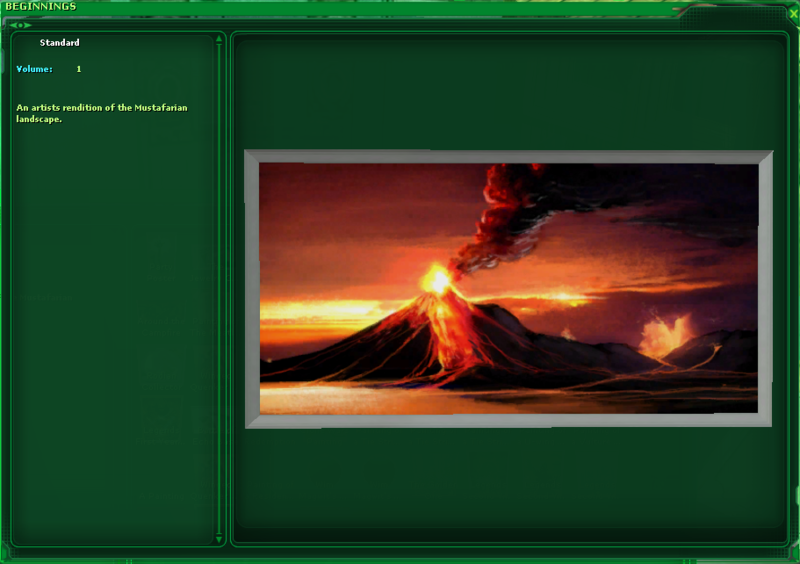 Some of those creations include home furnishings, weapons, and even a few useful buff items! 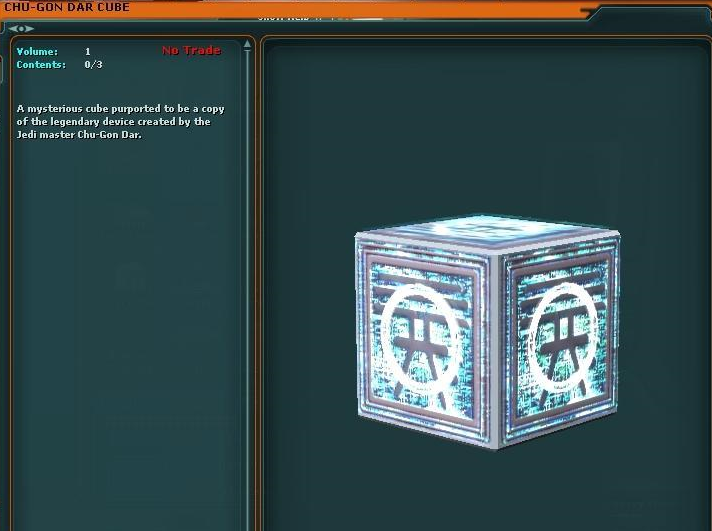 Today we’re going to go over the basics - namely how to acquire your Chu-Gon Dar Cube, and a few of the recipes that might entice you to get out to Mustafar and start hunting down some glowing treasure! 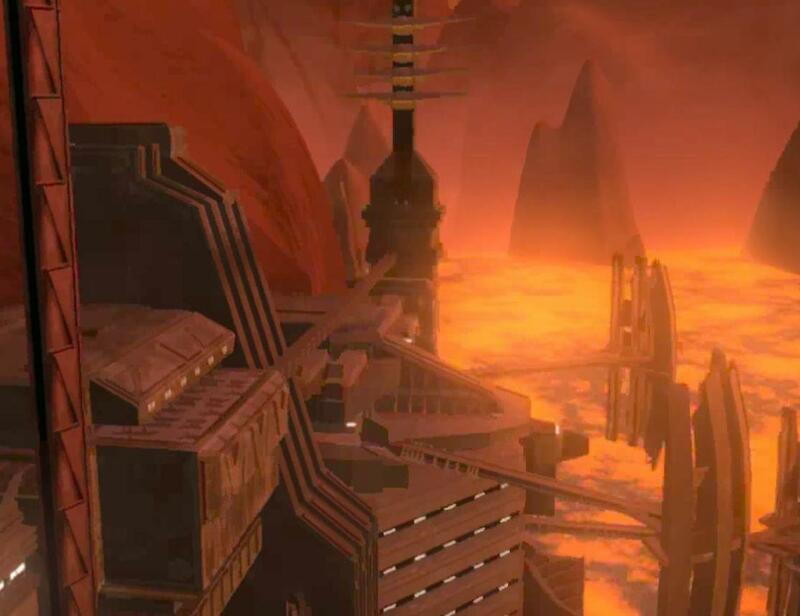 The first step is getting to the Mensix Mining Facility on the planet Mustafar! Once you have arrived to Mensix, head inside to /way 435 -1215 and speak to an NPC by the name of Ithes Olok, who will offer you your quest. Once you have started the quest, your next trip will be to locate the ruins, which are located at /way 326 -2975. 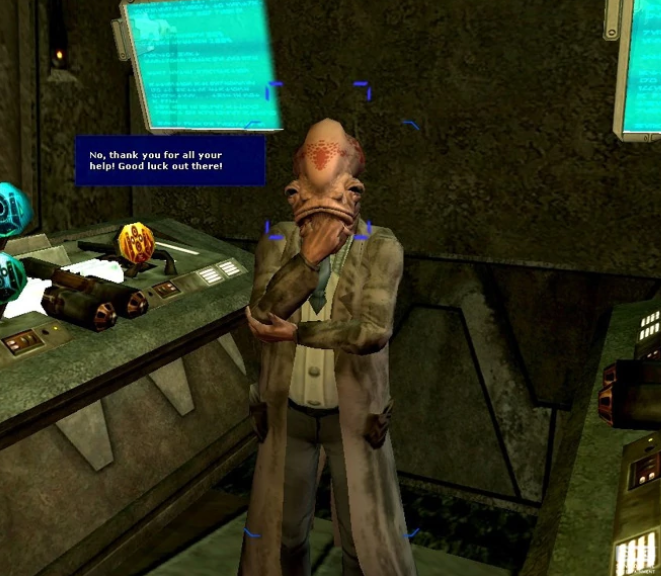 Your final task of the quest is simply to head back to Ithes Olok back at the Mensix Mining Facility and give him your notes. Once you’ve given him your notes, he will give you your Chu-Gon Dar Cube and some glowing items to give it a test! You have your own Chu-Gon Dar Cube! Now what? Well now the fun begins at finding out the ingredients to make your desired items from the cube. The Chu-Gon Dar Cube requires 3 glowing items to be used to create a given item. That given item is entirely dependent on what glowing items you use, and there are MANY combinations. 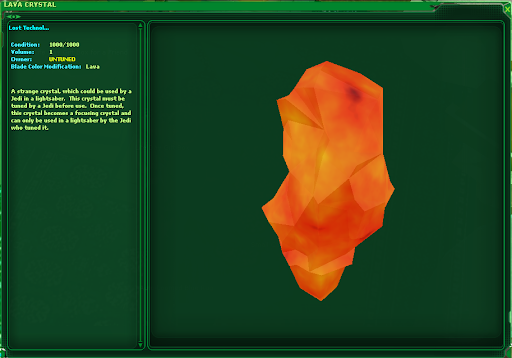 Acquiring some of these specific glowing items can be tricky and potentially a tedious process, but some of the rewards you can attain through your Chu-Gon Dar Cube using some of these glowing item combinations can be very useful and/or very valuable. 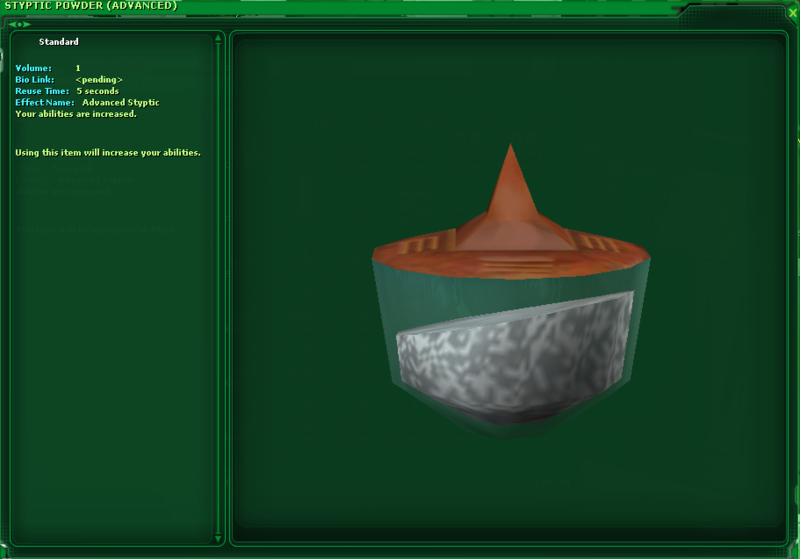 Let’s go over a few of the recipes (You can find all of the recipes by visiting one of the following links: https://swg.fandom.com/wiki/Chu-Gon_Dar_Cube_item or http://swg.elour.io/chugondar/ ). These are only just a few of the myriads of items that you are able to create with your Chu-Gon Dar Cube. This concludes our Friday Feature on the Chu-Gon Dar Cube. Have you found something you like? Well let’s get to Mustafar and get to work! Maybe I’ll see you there! Last edited by Laviz; 02-15-2019 at 03:14 PM. Love this aspect of the game and the unique items that can be created but boy is it annoying trying to obtain some of the recipe items. I'll keep doing it though. Ha. Another great Friday Feature! Swamp Hollow, Talus is our home and we are looking to expand should you want to live in proximity to the coolest people in the known galaxy. Was there from the beginning on Live (ruined my relationship) and left only to come back for the last 2 years. Holla! Thanks for the reminder of all the extra things there are to do in this great game!